Torbreck, located in South Australia's Barossa Valley, has forged a reputation for its wines that is second to none and what is all the more remarkable is the fact that it was only established in 1994. This is a clear testament to the quality of the fruit and the wine-making skills of founder David Powell. Barossa Shiraz provides a benchmark for this grape variety in the New World and Torbreck has since been named by the world's most noted wine critic Robert Parker as one of the top 100 wine estates anywhere in the world, a truly remarkable achievement. Barossa is renowned as one of Australia's premium wine areas and is pre-eminent as a source of top quality Shiraz grapes, known as Syrah in France. 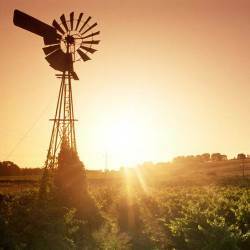 The Barossa Valley is a warm vineyard area situated about 35 miles north of Adelaide. It had originally been settled by German immigrants a large number of whom worked producing grapes destined to be blended to make fortified wines. When the demand shifted from this style of wine to more elegant wines based on Cabernet Sauvignon in the late 1950s and early 1960s the Barossa Valley fell out of favour as it was seen primarily as a bulk grape growing area suitable only for blends. Its image began to change, however, when a few "boutique" wineries started to vinify wines from these old Shiraz wines and built an international identity and reputation for Barossa Shiraz founded on its rich chocolate and spice character. David was already working for Rockford Wines when, in 1992, he discovered and nursed some rows of very old and un-irrigated vines back to productive life. 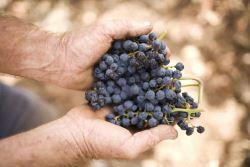 These small quantities of grapes were made into wine and the quality spurred him on to fund a contract to "share-crop" a run-down vineyard of very old Shiraz vines whereby in return for his work he paid the owners a percentage of the grapes' market price. 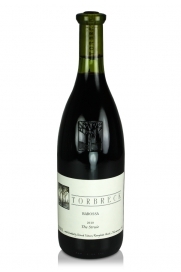 The following year, 1995, David pressed and vinified 3 tonnes of grapes and Torbreck, named after a forest where he had worked as a lumberjack in Scotland, was set to take the wine world by storm. 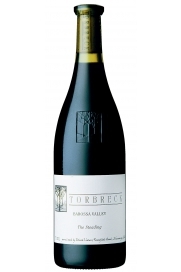 Then in 2003 Torbreck was able to fund the purchase of one of the original Barossa vineyard properties Hillside in Lyndoch which also included a large area of ancient vines to provide more top quality fruit to extend its range. 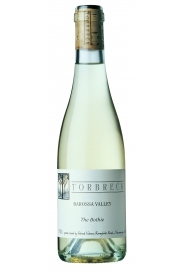 The success of Torbreck's wines is based on its dedication to the Rhone Valley grape varieties from which its wines are produced as well as the age of its vines. 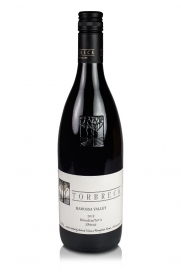 In addition to Shiraz grapes Torbreck also exploits the Grenache and Mataro varieties, the latter known as Mourvedre in France, for the Torbreck reds. Comparisons have been made with wines from the most famous of the northern Rhone valley, the famous vineyards of Côte-Rôtie and Hermitage, and the Rhone, both north and south, has provided the template and inspiration for Torbreck's range of wines. The Rhone's white grape varieties Viognier, Marsanne and Roussanne are also grown as is Muscat which is used to produce a dessert wine called The Bothie. 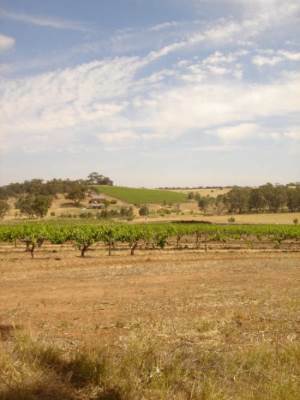 Although the Barossa Valley is treated as one vineyard area there are in fact many different soil types and geologies as well as meso-climates. Soils vary widely and encompass deep white sand over red clay in Vine Vale, dark heavy clay/loam over friable red clay in Seppeltsfield, shallow sandy quartz over deep clay in Northern Greenock at the extreme north western end of quality vineyard cultivation in the Barossa and very rich red clay on limestone separated by a thin layer of ironstone mixed in with quartzite in the Lyndoch sub-region, home to Torbreck's Hillside winery. Many other variations of soil and geology occur across the region each expressing particular qualities through the wines vinified from the different grape varieties and Torbreck sources fruit from 26 different vineyard plots in total. The average altitude of vineyards in Barossa is around 250 meters in contrast to those in the Eden Valley, located within the Barossa ranges, which are higher at approximately 450 meters providing cooler conditions, higher acidity and an extra 2 weeks ripening time. The Laird is the absolute top of the range wine and demands stratospheric prices exceeding that of even Penfold's Grange, hitherto Australia's most iconic wine and also produced from Barossa fruit. The Shiraz grapes for The Laird come from very old vines grown at the 5 acre Gnadenfrei vineyard, Marananga sub-region, which is painstakingly tended with no irrigation at all resulting in restricted harvests of small berries with great depth and nuances of flavour and what has been called "divine balance". The finest Tronçais oak from Allier in France, aged and weathered for more than 4 years, is used to make the finest barrels available to nurse this wine to perfection. The 2005 and 2008 vintages were awarded 100 points by Robert Parker while the 2006 could only muster 99 points! Quantities of The Laird are very limited and are much sought after at auction. Runrig is an intensely aromatic yet tightly structured wine that has often been compared with Côte-Rôtie although such is its power that it could also be mistaken for one of the very best Hermitage wines. Runrig is a concentrated, inky purple/black wine with typical Rhone Syrah characteristics of cassis, raspberries, smoke and tar with notes of leather, cedar wood and spices. This is a big wine made from very old Shiraz vines from vineyards in Marananga, Greenock, Moppa, Gomersal, Kalimna and Ebenezer blended with 2.5% Viognier in most years. This wine is built to last whilst simultaneously exhibiting great freshness. While the two wines described above are essentially Torbreck's flagship wines, with The Laird at least well beyond the reach and wallets of most mortals, the rest of the range is produced in larger quantities although certainly not mass-produced, resulting in hand-crafted wines of fantastic quality that are nonetheless within reach of the wine lover who is not in possession of inexhaustible funds. The Pict is a single vineyard Mataro (Mourvedre) varietal wine made with grapes from the Materne ‘Quarry Block’ Vineyard planted 1927 in the Northern Greenock sub-region. It is dark, earthy and meaty with great ageing potential and has more than a passing resemblance to the southern French wines of Bandol. Les Amis is another single varietal wine made from Grenache vines planted in 1901 in the Homes Vineyard, Seppeltsfield. Great purity and intense fruit is matched with finesse despite the power of this wine that can exceed 16% alcohol by volume. A richly perfumed wine exuding spice and smoke. The Factor is assembled from separately vinified parcels of un-irrigated Shiraz grapes grown in several sub-regions viz. Marananga, Greenock, Krondorf, Gomersal, Kalimna & Ebenezer. Following vinification these wines are matured in both new and old French barriques before they are blended and bottled without either fining or filtration. Aromas of blackberry, pipe tobacco smoke, black currants and roasted coffee beans with a palate suggestive of olive tapenade and minerals as well as the trade mark saddle-leather so typical of high quality Rhone red wines made from this grape variety. The Struie blends the grapes of 40 year old Shiraz vines grown in the higher altitude Eden Valley (5%) in the Barrossa Range with the fruit from 80 year old Shiraz vines from the Barossa Valley itself which constitutes the greater part of the blend. 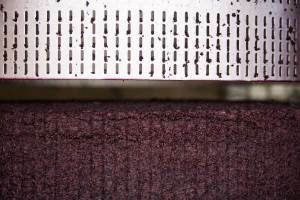 A very elegant Shiraz results helped by the addition of cooler climate grapes. The Steading is a blend of 60% Grenache, 20% Shiraz and 20% Mataro (Mourvedre) and is sourced from 45 different vineyard blocks to guarantee ripeness. The vineyards are located in Marananga, Greenock, Moppa, Seppeltsfield, Gomersal and Ebenezer. The vines are all old bush-vines which survived the devastating ravages of phylloxera and to this day grow on their own roots never having been grafted. No irrigation is used during cultivation which produces small quantities of fruit with tremendous concentration. 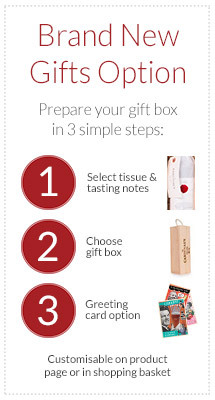 Each block is vinified separately before the final blend is made. The Steading is neither fined nor filtered before bottling. A white version (The Steading Blanc) is also made from 44% Marsanne, 32% Roussanne and 24% Viognier. 5 rows of each are planted in The Descendant vineyard in Marananga. A wine reminiscent of the white wines of the northern Rhone. 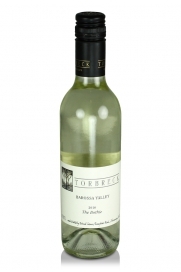 Torbreck's Woodcutters range comprises both red and white wines. The Woodcutters Shiraz utilses grapes from younger, emerging vineyards in the north western Barossa Valley. The quality of this wine is rarely, if ever, found at this price point. The vines are all low yielding, tended and harvested by hand and there is no fining or filtration employed before bottling. There is also a Woodcutter's Semillon from old vines that were planted by the original settlers. Part vinified in stainless steel and partly in oak this Semillon boasts aromas of almond and honeysuckle, a palate of exotic fruits with some minerality and a buttery texture from the natural malo-lactic fermentation. The Woodcutter's RVM is a blend of three white grape varieties, namely Roussanne, Viognier and Marsanne. It makes a delicious accompaniment to shellfish and sashimi (but go easy on the wasabi!). There are even more Torbreck wines. The white dessert wine The Bothie has already been mentioned. There are more reds such as Descendant, The Celts, The Gask and even a completely Natural Wine Project made from organically grown Grenache grapes without any added yeasts or chemical treatments whatsoever. Because of this wine's unpredictability with regards to travelling it is only sold within Australia unfortunately. Torbreck also produces a rosé wine named Saignée in hommage to the bone dry yet aromatic rosés of Provence. N.B. 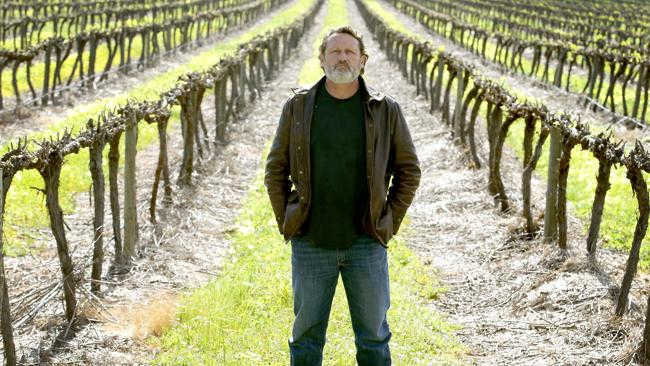 In September 2013 the founder and chief wine-maker David Powell was ousted from Torbreck by billionaire U.S. investor Peter Kight. There is a wealth of information available online detailing both sides of this sad story and it is to be hoped that David's dedication and inspiration can be replicated for future Torbreck vintages.